The new SMSBump Subscription Forms let you embed a customizable phone number capture form in your Shopify website. You can design your form, generate the code in the SMSBump app, and then embed it yourself. Embedding this type of subscription form requires some basic knowledge of HTML and CSS, but with our tutorial you will be able to do it even if you aren't fluent. For forms that SMSBump displays without any coding, try the floating subscribe button or the popup form. Let's assume you've already designed your signup form and you're ready to embed it. ​This will automatically save your progress with the form and will generate the code you need to embed in your theme’s template files. Copy the code for the subscription form displayed in the popup box. Next, you will need to open your theme files and select the template you want to display the embedded signup form. Go to Online Store > Themes > Actions and click Edit code in the dropdown. 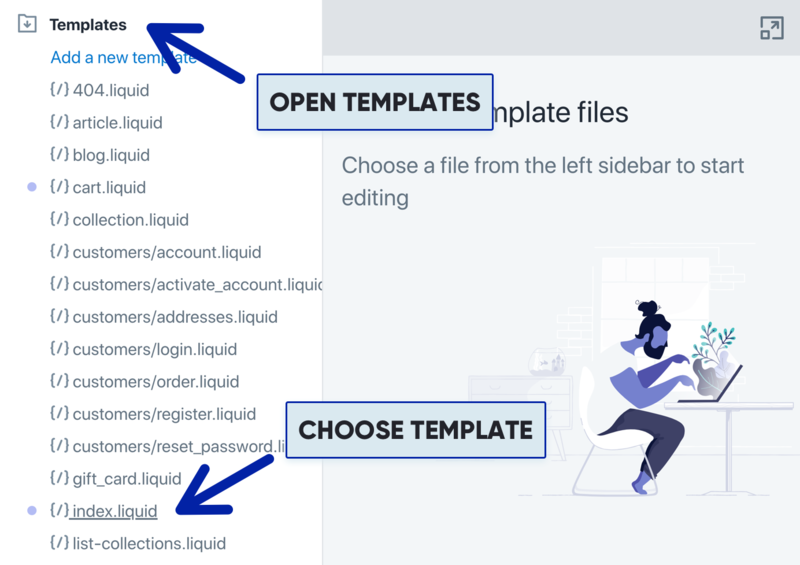 ​Click Templates to open the folder with all the .liquid templates forming your Shopify design. Select the template you want to display your embed, for instance index.liquid. ​Paste the code inside and click Save. 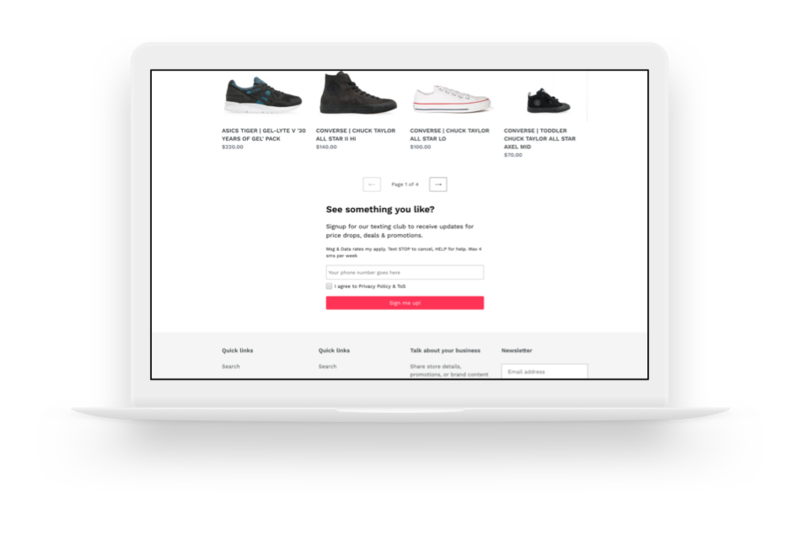 Your new signup form is now embedded in your Shopify website. You will be able to see it by going to the storefront and opening the page you just edited from your theme files. In our case this was the index, meaning we will be able to see our new embedded signup form on the home page. In case you want to make some additional adjustments to the form, you need to edit the styles. Let’s show you how. Go back to your theme files in the Shopify admin. 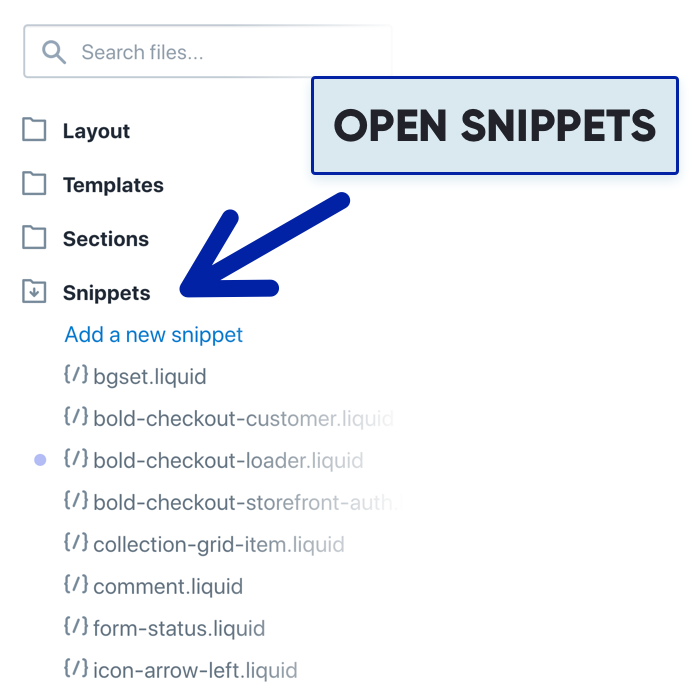 Click on Snippets and find the subscription form file. Open the subscription form .liquid file to modify the code. For example, let’s shrink the form from 1200px to 350px and click Save. Now the form has a more acceptable look and can be applied to the different template files so you can display it in multiple pages in your Shopify store design. We hope you learned how to embed your new SMSBump signup form in Shopify. 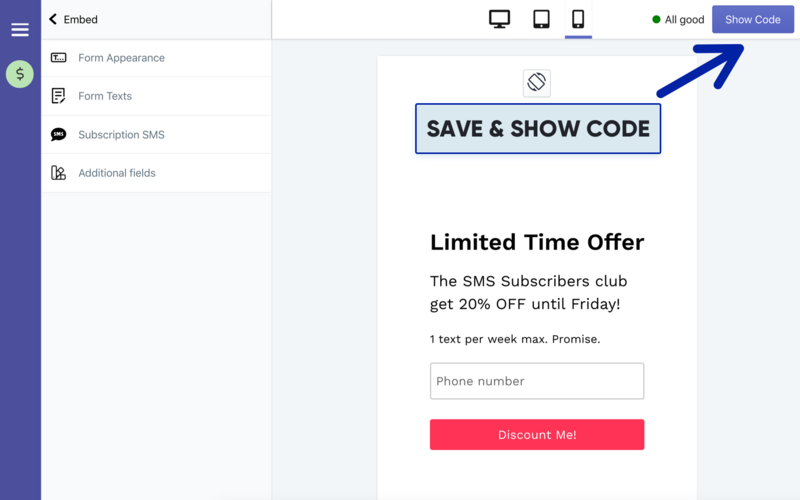 You can now create multiple different signup forms to embed, design them for different purposes and place them on different pages throughout your Shopify store so you can start getting more phone numbers and increase your SMS subscriber lists. Let us know if you need any help!